Meski sempat ngerasa Skeptis dengan DM Movement Negara India beberapa tahun lalu, jika Scene ini tidak akan Tumbuh besar seperti Negara lainnya, tapi dugaan Gw perlahan harus direvisi kembali ketika saat ini banyak bermunculan Band-band DM yang diperhitungkan scene Internasional. Kemajuan Teknologi yang cepat dan merata adalah salah satu alasan mengapa sekarang banyak Gw temukan band-band keren, salah satu adalah GODLESS. Loud, abrasive, metal from Hyderabad, India Will be Devastate ! Sajian Komposisi DM Straightforward agresif apalagi Materi ini dikerjakan oleh Gitaris Joe Haley-nya Psycroptic yang terkenal memiliki kemampuan " Lebih " untuk Hal mengolah masterpiece, tak lupa juga Joe menyumbangkan solo gitar-nya disini. tidak dapat dilepaskan juga kekaguman Mereka dengan Konsep yang dikenalkan oleh Psycroptic telah banyak menginspirasi aransemen musikal Godless. Transisi OSDM yang perlahan melebur kedalam Karakteristik Modern, mampu mendulang lebih tinggi eksistensi 5 Anak muda Potensial asal Hyderabad memainkan partisi DM yang siap memberi tendangan keras. Some of Wicked Technical licks and riffs are so Complex and Mind-blowing that you’ll be Scratching your head for days, just trying to figure out how he did that. Like most Good tech-death, the Guitarwork truly steals the show on this album and Between the Razor sharp Approach Songwriting. perkenalan Mengejutkan pertama adalah " Infest ", bagaimana menarik kesan Pertama Gw, " Shitttt ! 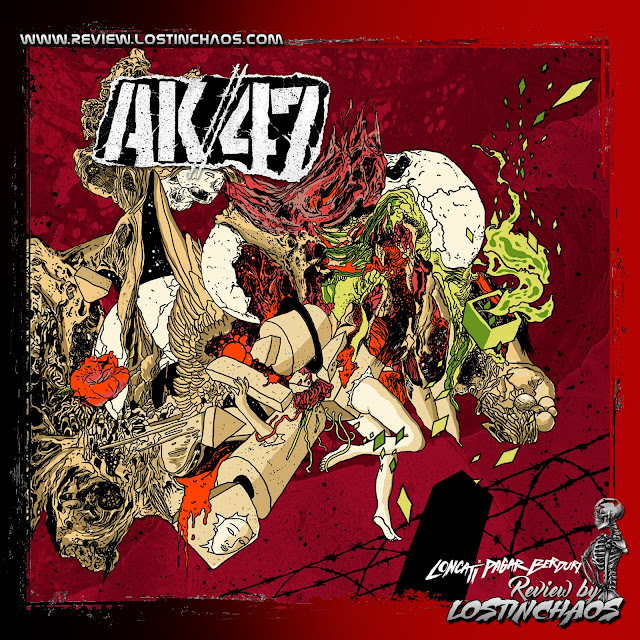 ", the Perfect mix of raw Insanity and Refined Musicianship ! Kombinasi gahar ala Psycroptic, Decapitated, Vader hingga Job for a Cowboy tersulam dengan sangat baik. Yeahh, a New Death Metal force that's both Powerful and Stimulating ! Komposisi yang sangat matang untuk mereka perkenalkan ini menurut Gw berhasil mengetuk Persepsi statis Gw dengan Scene India secara Mendasar. Meski tidak melakukan sesuatu yang " Baru ", Godless telah mampu menempatkan Eksistensi mereka tetap yang terbaik untuk diwaspadai kualitas dan Skill-nya. Metallic HC dengan Rajutan penuh Technical Riffing seperti menari liar serta Kompak yang di selaraskan lewat permainan drum Skillfulled. they are Self-enclosed, Coherent, Expressive creations that have something to say and which follow definite Patterns and traditional songwriting forms. mengemas-nya dengan teknik alur lagu yang tidak terlalu rumit, Godless mampu memperdengarkan Kualitas Talenta, sehingga Metalhead bakal lebih mudah mencerna karakter Catchy. Are unbelievably catchy at some points, but if you're for a band with catchy riffs, you're much Better off listening to Another band. pengaruh kuat Metallic Riffing sempat menggeser asumsi konseptual Godless, meski akhirnya lebih nyaman gw menyebutnya sebagai bagian dari Straigforward, inilah debut menantang saat ini bagi kalian Fans DM yang liar dan enerjik. semakin memamerkan Enerji full nya, " Replicant " mengakomodir kekuatan berbahaya-nya. dengan Progres tempo yang dinamis, konsentrasi Indera dengar kita tidak berpatok pada satu Komposisi, apalagi Duet Gitaris-nya terus memberi Provokasi aktif untuk bagaimana Sang Drummer mengambil keputusan mengolah skill maksimal-nya pula. beberapa sentuhan Thrash Riffing sangat menghantui pada beberapa Partisi terakhir. selain itu penyajian beberapa Solo Gitar cantik sedikit meredam kekuatan jahat aransemen masih terdengar nyaman ditelinga dan Mood. Track terakhir " Oneiros " ketukan yang mampu membombardir hebat lewat Twin pedal rapat, Spontanitas Track ini seperti pembawaan yang meledak-ledak, dan kemudian memberi Variasi dengan beberapa Thrash Riff masih jadi Clue Wajib. Produksi Materi yang so pasti tetap dapat diandalkan karena tangan dingin Joe Haley, dapat dipastikan jika ini adalah Rilisan DM terbaik yang gw dengar ditahun 2016 dari India Scene. And to make the perfect Material it is Imperative that all the Musicians are Represented at least somewhat Equally. This in my Opinion was the only Drawback on this Insanely Devastation Material. I'm Sure Everyone will Like something to like in this. The era of Godless has only just begun. Although feel with DM Skeptical Movement Country India a few years ago, if the scene is not going Growing up like other countries, but slowly I allegations should be revised again when currently many emerging bands calculated DM International scene. 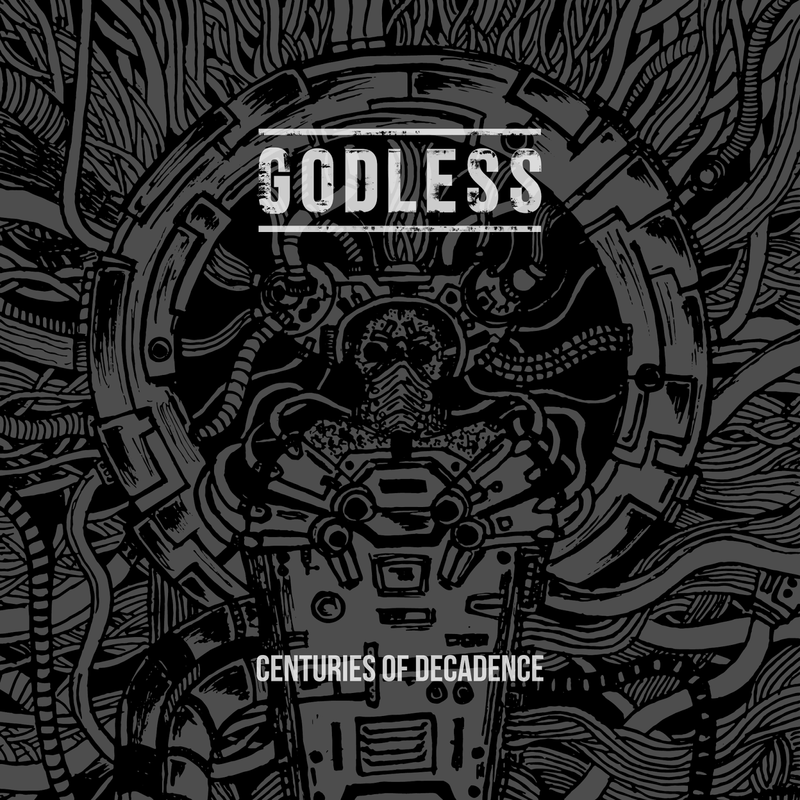 The technology progress quickly and evenly is one of the reasons why now many I find cool bands, one is Godless. Loud, abrasive, metal from Hyderabad, India Will be Devastate! Straightforward DM grain composition especially aggressive This material is done by guitarist Joe Haley his famous Psycroptic has the ability to "More" to cultivate masterpiece thing, do not forget Joe donated his guitar solo here. can not be released also admiration Those with the concept introduced by Psycroptic has inspired many musical arranger Godless. Transition OSDM that slowly melt into the Characteristics of Modern, able to gain higher existence Young Children 5 Potential origin of Hyderabad played a DM partition and ready to give a hard kick. Some of Wicked Technical licks and riffs are so Complex and Mind-blowing that you'll be Scratching your head for days, just trying to figure out how he did that. Good like most tech-death, the guitarwork truly steals the show on this album and Between the Razor sharp Approach Songwriting. The first surprise was the introduction of "Infest", how to draw the my impression First, "Shitttt! ", the Perfect mix of raw and Refined Musicianship Insanity! The combination of style Psycroptic, Decapitated, Vader up to Job for a Cowboy embroidered very well. Yeahh, a New Death Metal force that is both Powerful and Stimulating! The composition is very mature for them, according to introduce successfully tapped Perception my static with Scene India is Fundamental. Although not do something "new", Godless been able to put their existence remains the best to be aware of his qualities and skill. Metallic Knitted HC with full Technical riffing like dancing wildly and Compact are in sync through drumming Skillfulled. they are self-enclosed, Coherent, Expressive creations that have something to say and the which follow definite Patterns and traditional songwriting forms. pack it with techniques groove track that is not too complicated, Godless able to have quality talent, so it would be easier to digest Metalhead Catchy characters. Are unbelievably catchy at some points, but if you're for a band with catchy riffs, you're much better off listening to Another band. 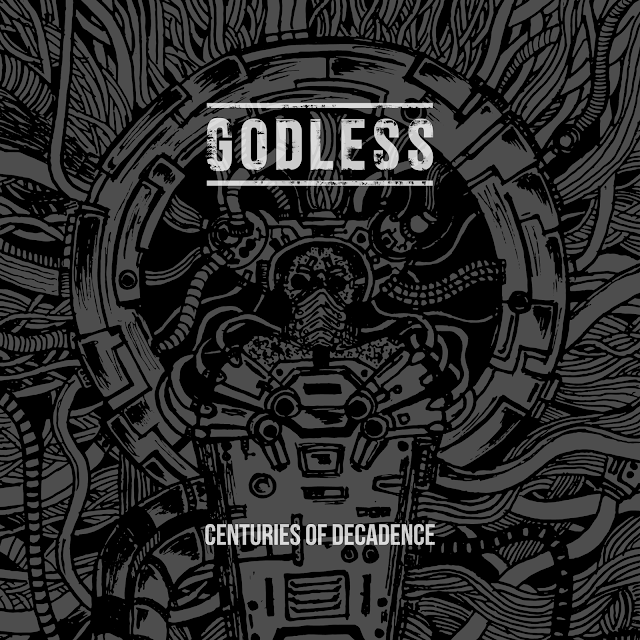 Metallic riffing strong influence had shifted the conceptual assumptions Godless, though ultimately more comfortable gw call as part of Straigforward, this debut today's challenging for you Fans DM wild and energetic. increasingly showing off its full Energy, "Replicant" accommodate its dangerous power. Progress with dynamic tempo, we did not hear Indera concentration berpatok on the composition, especially its Duet Guitarist continue to give active provocation to how the decision-making process Drummer his maximum skill anyway. Thrash riffing some very haunting touches on some of the last partition. besides presenting some pretty Guitar Solo slightly dampen the evil forces still sounds comfortable arrangement ears and Mood. Last Track "oneiros" knock capable of great bombard Twin pedal through meetings, Track Spontaneity is like nature of explosive, and then gave Variations with some thrash riffs still so Clue Compulsory. The material production so surely remain reliable for the cold hand of Joe Haley, can be ascertained if this is the best gw Releases DM hear from India in the year 2016 Scene. And to the make the perfect material it is imperative that all the Musicians are at least somewhat Equally Represented. This in my Opinion was the only Drawback on this Insanely Material Devastation. I'm Sure Everyone will Like something to like in this. The era of Godless has only just begun.